Koselig is the on-trend Norwegian word that describes a feeling of wellbeing and contentment. It is also the PERFECT vibe for creating a cosy and efficient home work space over the winter months. Many of us striving for a better work/life balance, choose to work from home. And embracing koselig (pronounced coo-seh-lay) in your own personal home work space could be a very wise move, helping to boost productivity and cut stress. Despite its long dark days – in some parts the sun does not rise at all in winter - Norway is often voted the happiest country in the world, so what better nation to turn to for advice. The use of natural wood is key, and what could be more Norwegian than a log cabin? Log buildings are renowned for being warm and cosy, having friendly acoustics, and a relaxing ambience and aroma. 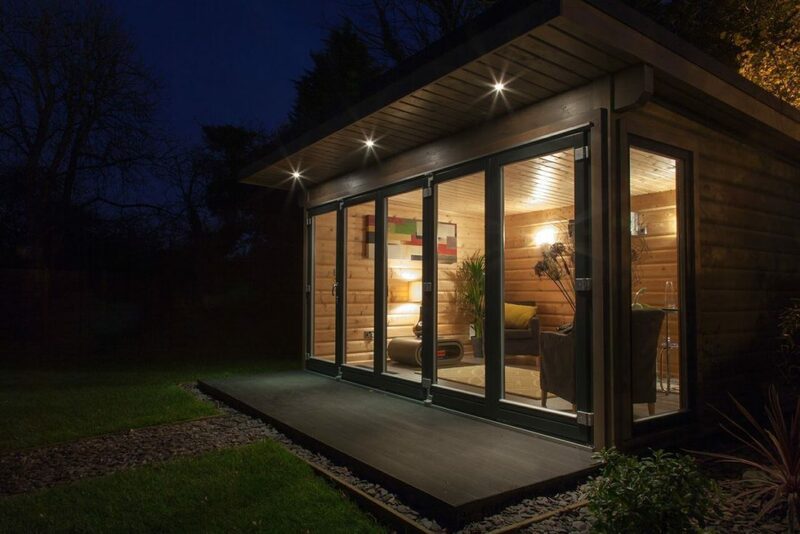 Setting up a home office in a log garden building is ideal; many do not need planning permission and are surprisingly affordable. They can also add value to your home and be used as a spare room or chill out space. Check out our selection here. For the koselig look and feel in an office in your spare room, opt for Scandi-style wooden floors, wooden wall panels or even shelving units. Wooden desks, the larger the better, can make a space less formal, and a desk lamp adds visual warmth and comfort. Home offices need not be surgical, all-white and cold spaces; pick colourful accessories, such as noticeboards or desk tidies, and use strong, contemporary graphics on walls or textiles. If you have space, add a comfortable chair or sofa, large cushions and even a textured throw or two. Ideal for impromptu meetings and the perfect spot for taking regular screen breaks with a cuppa. Office plants are now back in trend and, if you select cacti or succulents, they can be easy-care whilst making a space look far less formal. They can also help improve air quality. Remember to take regular outdoor exercise no matter what the weather. Getting outside for a 20-minute stroll, cycle or run will release your endorphins, helping to lower stress levels naturally and give you a wellbeing boost.